If you're tired of limp, lifeless hair or struggle with unmanageable frizz, consider styling your hair with a blow dryer. Blow drying your hair adds volume and inflicts less damage on your hair than using a hair straightener or curling iron. Though blow dryers don't reach temperatures as high as these other styling tools, they are still effective in smoothing and directing hair. With proper technique, it is possible to create straight, wavy, or even curly hairstyles. Yes, blow dryers are versatile, but different brands and models have different features and capabilities. Today, the typical blow dryer has interchangeable attachments that gives the user greater control while styling their hair. The common attachments for blow dryers include one for concentrating air onto a small section of hair as well as a head for dispersing air evenly across a broader section. The blow dryers we considered in our search for the best blow dryer for natural hair are not your mothers' blow dryers! Modern models have vastly improved on the traditional blow dryer, so consider upgrading yours today! We wanted to know what model truly is the best rated blow dryer for natural hair. So, we tested out five of the top brands and models available. Check out how each model ranks and compares! The first blow dryer we came across in our mission to find the best rated dryer for natural hair was a BaByliss. This model stands apart from other blow dryers due to ionic and Porcelain Ceramic technology. This technology produces a gentle infra-red heat that protects the hair from damage making it one of the best blow dryer for natural hair. With its 2000-watt Italian AC motor, this blow dryer is guaranteed to blast through even the thickest hair! These features also ensure that air and heat are evenly distributed as it flows out of the blow dryer so your hair dries quickly and smoothly. This BaByliss model comes with an 8 mm concentrator nozzle, giving you ultimate control over your 'do. The nozzle controls much air comes out and how powerfully it flows. It can funnel air towards a small section of hair, useful for styling if you are using the blower along with a hair brush. Natural hair requires as much tender, loving care as it can get! This blow dryer is perfect for natural hair because it has six different heat and speed settings. There are 3 heat settings (cool, warm, hot) and 3 speed settings (off, low, high). It is not so heavy and has a nice rubberized grip making it easy to hold and use. The cool shot is another excellent feature on this blow dryer. It allows you to switch from a hot air stream to cool stream of air within seconds that lets you set your style and protect hair. 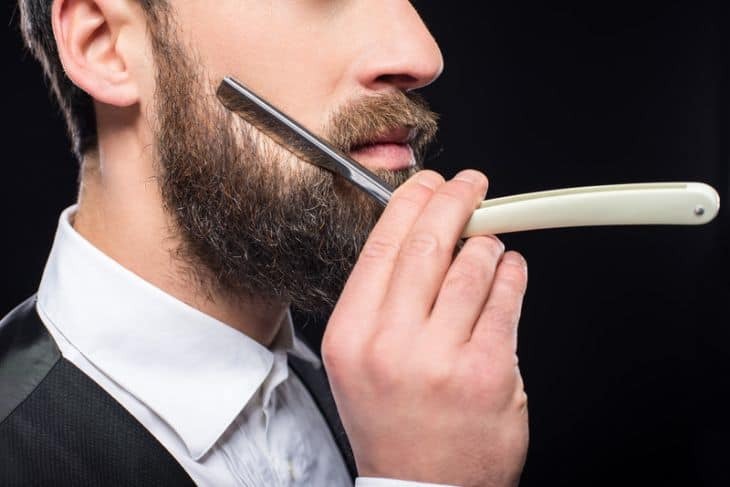 This means you can find the temperature perfect for your particular hair type to avoid inflicting damage on your hair cuticles, while still achieving a sleek and groomed look. It has a removable filter to easily clean the blow dryer. Overall a powerful professional quality dryer that is gentle on your hair. For the girls obsessed with sleek and shine, there’s the Conair 2-in-1 Styler. This Conair blow dryer produces heat with tourmaline ceramic, which removes static and smooths frizzy hair through the use of negative ions. They claim this technology is so effective, you’ll experience up to 75% less frizz than you normally do. The DC motor of this blow dryer is not nearly as powerful as the BaByliss Xtreme, reaching only 1875 watts. Regardless, this device remains one of the most powerful blow dryers available. It uses a high-torque motor that dries your hair much faster. There are three heat and two speed settings along with a cool shot button. You can mix and match the heat and speed settings until you find the optimal combination for your hair. The cool shot can be used to set hair by using blast of cold air after styling it. Low heat low speed settings are suited for fine and delicate hair. For thick or long hairs you can put it on higher temperatures and speed. This also means that, despite its strong motor, this blow dryer can be adjusted for delicate, fine or thin hair just as easily as it can be set to dry thicker hair. The Conair 2-in-1 Styler comes with two additional attachments. The concentrator funnels hair into a narrow opening, allowing you to focus on specific sections of hair. The diffuser attachment spreads out the air to cover a greater area for a natural voluminous look, especially for curly hair. Pick your favorite attachment, or use multiple in one sitting--whatever it takes to perfect your hair! This blow dryer is guaranteed to add shine and smoothness to your hair for a clean and effortless look and is one the best hair dryer under $50. It comes with a hinged filter that tilts down for cleaning and has soft comfortable grip. Not to mention, your hair will also feel healthier once you start styling your hair with the minimal heat of a blow dryer. 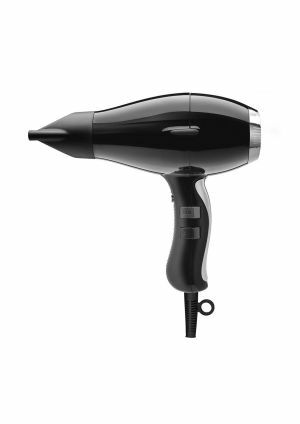 If you have the need for speed, try out the Elchim Classic High Pressure Hair Dryer. This brand boasts of its ability to dry hair 30 % faster than the average blow dryer due to its ionic and ceramic technology. Elchim is one the top manufacturers of professional blow dryers, as it has won the “Allure Best” award twice and was named best blow dryer by “Life and Style”. Could this Elchim model be the best quiet hair dryer? The Elchim has an Italian AC motor that can reach up to 2000 watts with a good ergonomic body. This means that air flowing out of the blow dryer is negatively charged, helping to break apart the positively charged water molecules on your hair, eliminating static electricity. Another important feature is that this blow dryer has three temperatures and two speed settings. It also has a very good cool shot feature, meant to lock in styles created with warm air. Elchim dryer works well on both thick and thin hair types. The Elchim comes with two attachments, the wider nozzle for brushing and a narrow nozzle for precision styling by directing airflow at smaller sections of hair. It has a removable filter at the back for easy cleaning. 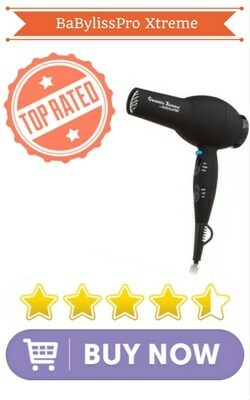 It is compact, light and one of the best quiet hair dryers available. Though expensive, its quality, power and silent operation is really impressive! If you liked the first BaByliss blow dryer we reviewed, then you’re bound to love this cute little BaBylissPRO Nano Titanium Dryer! As with its sister model, the Xtreme this blow dryer has a heavy-duty AC motor with 2000 watts. It is small in size but still packs plenty of power and uses a titanium heating element making it lightweight. An integrated ion generator makes it ionic for faster drying with less frizz and more shine for your hair. Power like that is a sure-fire way to get your hair dried quickly. Also similar to the Xtreme, this blow dryer has six heat and speed settings, including a cool shot button that can be used to set stylized hair. Having so many speeds also gives you control over how much heat you expose your hair to. With less heat, your hair will be sleek, shiny, and healthy. One of the nice things about this model is that it is lightweight and compact—perfect for the beauty-conscious traveler. Not to mention, this lightness also serves to make the device easier to hold, aim, and use. Being able to control the positioning of the flow dryer is important in hair styling. This model makes that easy due to its ergonomic handle! The BaBylissPRO Nano Titanium Dryer comes with a concentrator attachment. This is a thin nozzle that directs air at small sections of hair at a time. Also the filter is removable to facilitate easy cleaning. The last blow dryer we tested and reviewed was a Remington D3190 ionic ceramic tourmaline blow dryer. 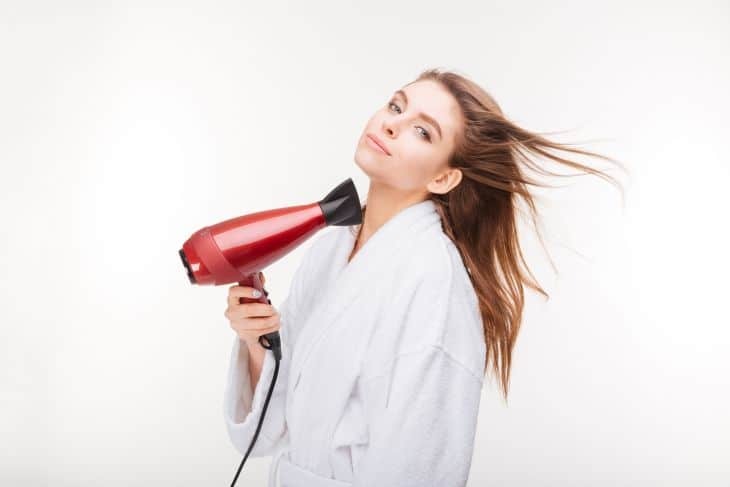 Like the Elchim and Conair models we found, this blow dryer uses negatively charged air to dry your hair rapidly and protect from any damage. Naming this product “Damage protection” is no overstatement—this Remington blow dryer give your hair 3 times more damage protection. The ceramic and ionic technology make use of coated grill with micro conditioners for faster drying and to reduce frizz. The tourmaline also prevent the hair cuticle from being damaged and even add shine! However, what makes this blow dryer stand out, potentially as the best blow dryer for natural hair, is that the silk ion generator produces 90% more ions than most other brands and models. This helps to dry hair at what they estimate is 50% faster than achievable with other blow dryers. The Remington D3190 has a salon quality quiet AC motor with 1875 watts power that can last long and is another best hair dryer under $50. Also like these other blow dryers, the Remington Silk ceramic ionic provides three heat and two speed settings. It also has cool shot button to set your style and a soft touch body. The device comes with both concentrator and diffuser attachments. You’ll be able to straighten or curl your hair at ease (and with little heat) using this Remington blow dryer! Power- The power usually mentioned in watts give an indication of its drying capacity. Blow dryer motors vary in strength from 1300 to 2000 watts. This means that some devices blow air more powerfully than others. If you have particularly thick hair, you may want to get yourself a blow dryer with a high-power motor. However, ladies with thinner hair may be just fine (or even better off) with a weaker blow dryer motor. Ionic, Tourmaline: Ionic or tourmaline dryers generate negative ions that break the positive water molecules on your hair for faster drying making them less frizzy. Tourmaline is a semi-precious metal that generates even more negative ions for faster drying and smooth silky hair. Ionic dryers are useful for those with thick frizzy hair. Ceramic, Porcelain: These refer to the heating element material used in the dryer. They generate far infrared rays to dry hair inside out evenly and are less gentle on your hair. They are suited for fine thin hair type. They also use ionic technology to generate ions and reduce frizz. Titanium: Titanium is much lighter than ceramic or porcelain and heats up faster making them a good choice for people with lot of hair. They make the dryer light and travel friendly but can damage fine thin hair. Heat and Speed settings- Blow dryers with more heat and intensity settings can hit a wider range of temperatures, giving you greater control and creative freedom. Blow dryers come with adjustable fan speed settings that controls the drying speed. Lower heat levels are recommended to prevent hair damage. Motor Type- Professional quality dryers come with an AC motor that are more powerful, long lasting and have less sound. Dryers with DC motors are smaller and lighter but lifespan will be less. Cool Shot - This is a useful feature present in most dryers today to set your hair at a desired style while drying. It produces a stream of cool air to seal the cuticles to lock your style. Attachments- Adding an attachment to your blow dryer helps to refine your look and style your hair. If this is important to you, you may want to search for a blow dryer that has multiple attachments like concentrator or diffuser. A concentrator is useful for straightening and removing frizz while a diffuser keeps your curls intact. Check this video to see how to use a diffuser. Others- Features like size, weight, dual voltage support, dedicated ion generator button and removable filter are also worth considering while looking for your next dryer. Now that you know what to look for in a blow dryer, go ahead and pick the best hair blow dryer! Each of these five blow dryers are great—they have powerful motors, concentrator and diffuser attachments, and controllable heat and airflow. The best blow dryer for natural hair for now is the BaBylissPRO Ceramix Xtreme! This model has it all—strong motor, the widest variety of blow dryer attachments, and even six heat and speed settings to take care of your natural hair. If you are looking to remove hair check out the best hair removal devices or learn how to apply makeup with an airbrush kit. Find the best lighted makeup mirrors here. If you are looking for an all in one solution check out a hot air brush stlyer.